Stevie and Joe are reunited for a two man lunchtime podcast discussing the upcoming Nationals season (1-8), the emerging Browns (9-15), the terrible Redskins (16-20), March Madness (21-26), and the presidential field of candidates (27-32) and cap everything off with a discussion about college and aunt Becky (33-36). This is literally a lunchable of sports and politics that will resonate with anyone who lives in DC and leave you laughing on your way home this afternoon. Welcome to spring 2019… and what the heck does Goose have on Dan? The wait is over, the DTC podcast is back! Joe is riding solo today re-visiting the biggest sports topics of the past month from the Super Bowl to LeBron James, Jason Witten to Bryce Harper, and from Gov Ralph Northam to POTUS to Kim Jung Un, and literally everything in between… there is something for everyone! Joe discusses Tom Brady and his ridiculous career and Russel Westbrook and his ridiculous stat lines going back several seasons. He also gets into Kaep and his settlement with the NFL followed by his ridiculous request for $20m to play in the AAF or XFL. Will Kyler Murray be a Redskins? Probably not but Joe is confident that Antonio Brown will land in Jacksonville with St Nick while Lamar Jackson will fail in Baltimore. ESPN prayers answered as Witten returns to Cowboys and Bryce Harper will make approx $4,000 per plate appearance for the next 13 seasons in Philadelphia. DTC is back! Spotify, iTunes, GooglePlay, Podbean and TuneIn all carry our content, listen and share! FP, 20, and Joe are talking about how the Saints and Rams should be forced to replay the end of the NFC championship game (1:30), how the Chiefs should have had an opportunity to touch the ball in OT (4:30), and why the NFL should immediately change the Overtime Rules and make all plays available for challenge (11:25). Also, Joe lays out a solid reason as to why all NFL challenges should be handled from New York and NOT on the field in real-time. Brady gets a chance to book-end his career with another win against the Rams in the Superbowl (21:30) and might he walk off and retire? The boys also discuss the #FireBruceAllen interview which was comical and painful and void of value all at the same time drawing similarities to the #FyreFestival and Billy McFarland +why the Wizards and @RealDealBeal are playing better right now! 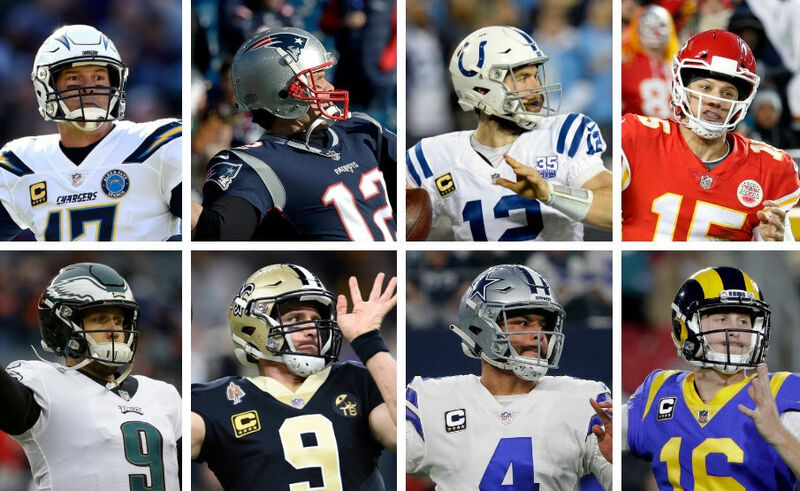 The NFL Playoffs continue and Joe is on a heater picking all four games correctly last week and now shifting his attention to the big matchups this weekend. “20” rejoins the show to talk about the NFL matchups as well and the duo also discusses the National Championship game, would you play baseball or football if both were an option, why the Redskins haven’t fired anyone, and debate if the Wizards are better without John Wall. This show moves fast so try to keep up and as always like and share! Get rich kids… Joe is on the Chiefs, Rams, Chargers, and Saints! The Wizards are missing John Wall and struggling to string wins together while the Capitals are streaking and trying to cement their identity as they are set to make a second straight cup-run! What can the Wiz do with the contracts they have on-hand? Does anyone have any faith in #FireErnie? Don’t the Wiz remind you of the Redskins? a little bit? yikes! The Capitals on the other hand are quietly repeating their success from last year, playing well against the better teams and beating the teams they should. As we start 2019 LP, FP, and Joe have thoughts about what both franchises can do to energize their current fan bases and try to expand them too!